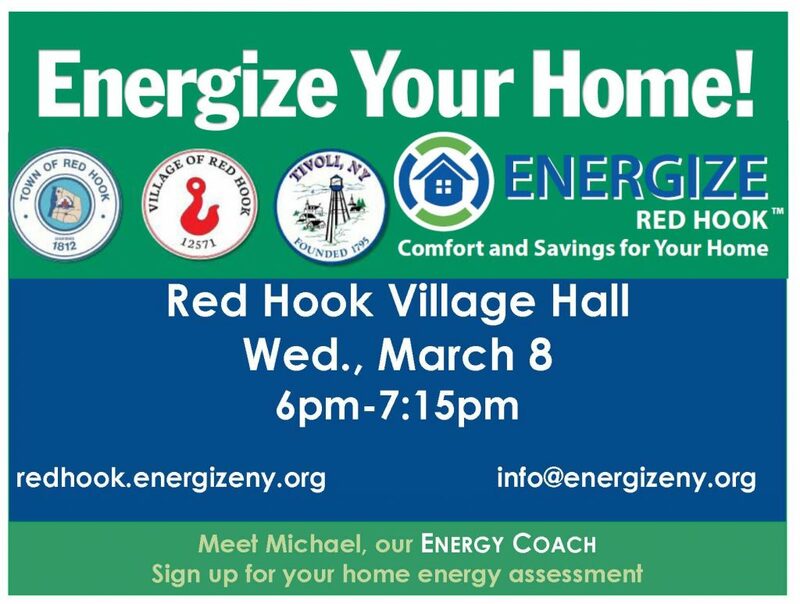 Come learn about the Energize program and meet the Energy Coach and some of the contractors! Homeowners can get a free or reduced cost home energy assessment, and a pathway to making their home more comfortable and affordable through energy saving projects. Like Solarize, we hope that educating our community and bringing the resources to light will help people move forward on these upgrades to their homes. Sign up anytime for the assessment anytime online: redhook.energizeny.org. Call Michael, our Energy Coach at 845- 331-2140 x260 or email info@energizeny.org to find out more. 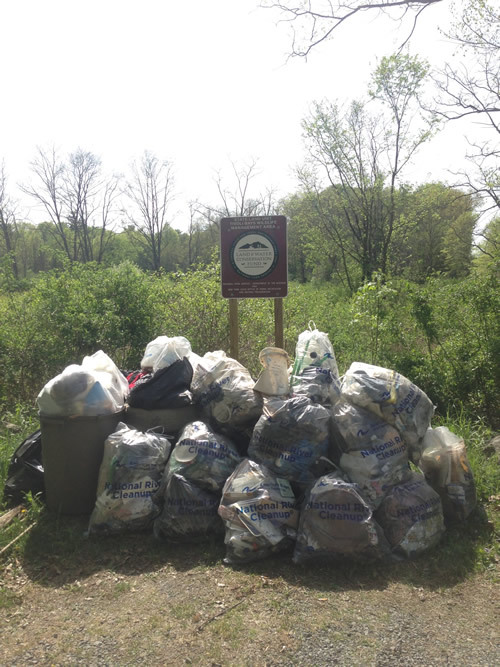 John us in Tivoli for the 5th Annual Riverkeeper Sweep on May 7. It’s lots of fun. 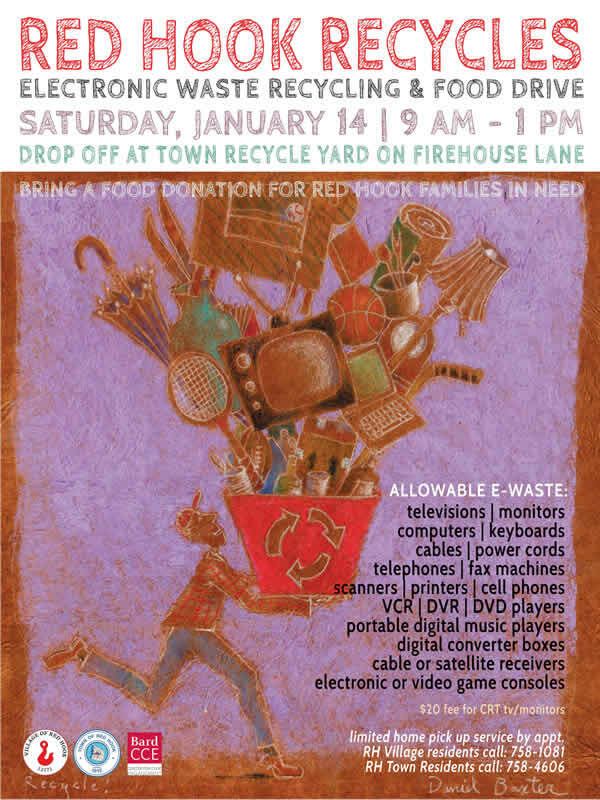 We haul a ton of stuff out each year: Tires, plastic, styrofoam. Folks on land and in canoes and kayaks in Tivoli Bays. This is last year’s heap. 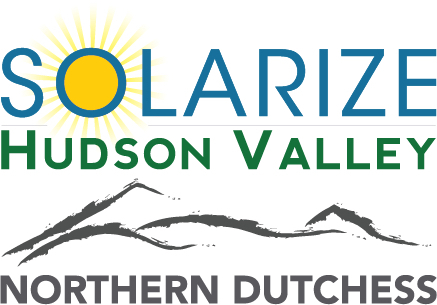 Solarize Hudson Valley is launching this summer, led by Sustainable Hudson Valley and Catskill Mountainkeeper with three year funding from NYSERDA. This community education and group purchasing program makes it easier and more affordable for households and small businesses to go solar with selected, pre-qualified installers, informative workshops and group purchasing discounts. As more people participate, the price goes down for everyone! The program is piloting in Kingston from May 1 – September 12, 2015. 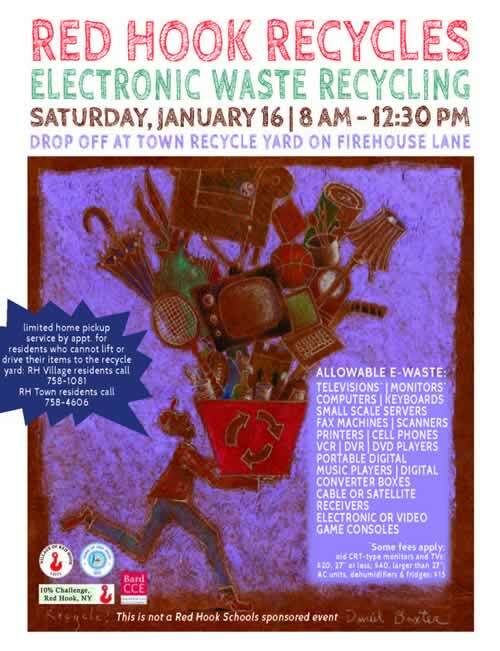 It rolls out in the “hub” communities of Goshen, Warwick, Woodstock, Rosendale and Beacon, with workshops and events in these locations serving everyone in the Hudson Valley. You may also sign up for a free site assessment online at www.solarize-hudsonvalley.org. Mon., July 13, 2015, 7:00 – 8:00 p.m., Solarize Woodstock launch workshop, Woodstock Town Hall, 76 Tinker St., Woodstock (with selected installers Apex Solar and Lotus Solar). Wed., July 15, 2015, 7:00 – 8:00 p.m., Solarize Rosendale launch workshop, Rosendale Cafe, 432 Main St., Rosendale (with selected installers Apex Solar and Lotus Solar). Sun., July 19, 3:00 – 5:00 p.m., Solarize Beacon + (including Newburgh and Cold Spring focus). Open House at the solar powered home of Peggy and David Ross; call 866-205-2999 for info and directions (with selected installers Apex Solar and New York State Solar Farm). Tues., July 21, 1 – 2:30 p.m., Solarize Warwick-Goshen community workshop at the Albert Wisner Library, 1 McFarland Dr, Warwick, NY 10990 (with selected installers SolarCity, Direct Energy Solar and NYS Solar Farm). Wed. July 22, 6:00 – 7:30 p.m., Solarize Kingston community workshop, Kingston City Hall, 422 Broadway (with selected installers SolarGeneration, New York State Solar Farm and Hudson Solar). Thurs. July 23, 7:00 – 8:30 p.m., Solarize Beacon + Educational Workshop at Howland Library, 313 Main St., Beacon, NY (with selected installers Apex Solar and NYS Solar Farm). Sun., July 26, 9:00 a.m.-2:00 p.m.Solarize Warwick information/ signup table at the Warwick Valley Farmers Market, 1 Bank St., Warwick (with selected installers SolarCity, Direct Energy Solar and NYS Solar Farm).